In this Dec. 3, 2018, file photo, Kanye West and Kim Kardashian West attend opening night of "The Cher Show" at Neil Simon Theatre in New York City. Kim Kardashian has officially confirmed that she and her husband Kanye West are expecting their fourth child together via surrogate. Kim, Kourtney and Khloe Kardashian joined Andy Cohen on "Watch What Happens Live" and he dove right in when it came to asking her about her family. At first, Cohen called upon his viewers to help pick out a baby name for Kardashian West and West by voting for one of the following options: East, South, Calabasas or Lil' Kris. It turns out, "no," she wouldn't consider naming her next kid any of those names. "Are you working on another child?" Cohen asked. "We are," the mom of three confirmed. Cohen replied, "Obviously I knew that, I didn't think you were telling everyone." 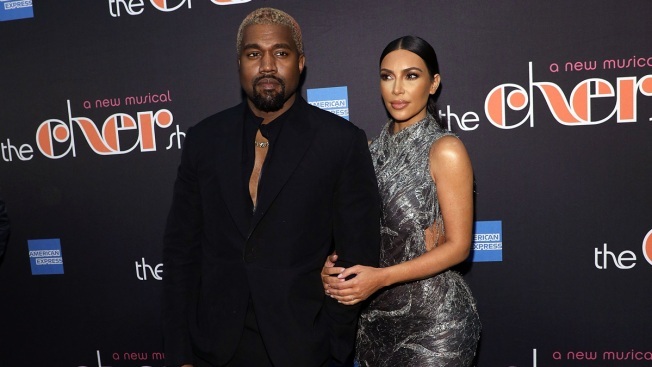 While there have been reports and confirmations that she is expecting a fourth child via surrogate, Kardashian West had yet to make any official announcements herself. It appears some liquid confidence got the best of her recently. "I got drunk at our Christmas Eve party and I told some people. I can't remember who I told because I never get drunk," she explained. She also verified that it's a boy. Although the name Calabasas won Cohen's pool, it doesn't seem like Calabasas West will be the baby boy we're meeting sometime soon. A source told E! News just after the new year that the surrogate is "well into the pregnancy" and that the couple will meet their new baby sometime in May. "Kim and Kanye have known for a while and are very excited. They had one male embryo left and are thrilled it has worked out," the source explained. "Kim always wanted four kids and having two boys and two girls feels perfect. They were very happy with the entire experience the first time and are so grateful to have one more baby." The KKW Beauty owner also hired a surrogate to carry Chicago West, who was born on Jan. 15, 2018. Kardashian West and West opted for the surrogate for health reasons. The 38-year-old has placenta accreta and was told she could possibly "bleed to death" if she got pregnant again. Their fourth baby will be carried by someone else because Chicago's surrogate reportedly got pregnant and Kardashian West picked a new one over the summer. The youngest generation of Kardashian cousins are all very close in age, which the family loves. Chicago, Kylie Jenner's daughter Stormi Webster and Khloe Kardashian's daughter True Thompson are all around the same age and have been dubbed "the triplets". According to another source, Kardashian West's pregnancy is "heavily influencing her other sisters and their baby plans." The insider continued, "They all loved being pregnant at the same time and everyone wants all of the kids to be close in age. Everyone jokes about having another round of 'triplets' all the time." In December, a different source revealed to E! News that Khloe Kardashian "definitely wants True to have a sibling." Although she and her beau Tristan Thompson have had their ups and downs, the insider explained she "would like more kids with him. That's what she feels will make the most sense for True and their little family." Jenner, too, has discussed wanting another baby with Travis Scott, but the timeline is murkier on that. "Am I going to have another baby? I want another baby but, 'When?' is the question and I'm definitely not ready right this second," she said during a Snapchat Q&A in October. Kardashian West wasn't the only one on the show who's expecting a new baby. Cohen announced on Dec. 20 that will be welcoming a baby soon via surrogate. He also told Anderson Cooper on New Year's Eve that it's a boy.